In the Netherlands, a leader in the fast-growing field of e-health, people living with Parkinson’s disease are not alone, whatever their personal situation. ParkinsonNet – a network of doctors, health professionals specializing in Parkinson’s, and above all, patients themselves – aims to ensure the best possible care for people living with Parkinson’s, and to bring it to the patients in their home, using e-health technologies that ease the burden on hospitals by enabling remote patient monitoring and disease prevention. 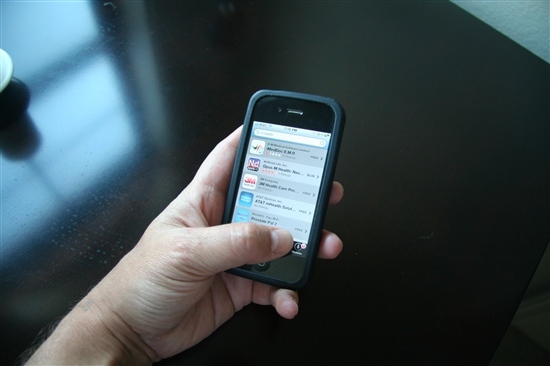 Patients should soon be able to send their medical data to a doctor electronically. Photo: Wikimedia Commons. Policymakers, doctors and scientists from both the Netherlands and Russia gathered in Moscow on Monday under the auspices of the Russia-Netherlands bilateral health working group to exchange ideas and share expertise about e-health solutions. “In the Netherlands, the healthcare sector is aware of the necessity to join forces for smart solutions for sustainable healthcare,” Dutch Ambassador Ron van Dartel said, citing issues such as aging populations, at the opening of the roundtable, which was moderated by Andrei Egorov, CEO of the Open University Skolkovo, and the Dutch deputy head of mission, Jeroen Boender. “E-healthcare can not only save time and costs, using resources more efficiently, it also improves outcomes for patients,” said van Dartel. Bas Bloem, a Dutch professor from Radboud University Nijmegen, told the roundtable participants that the ParkinsonNet project had saved the country 20-30 million euros in healthcare costs. In 2014 the Dutch government set e-health targets to be achieved within five years, van Dartel said, under which many people will get online access to their medical data and will be able to monitor their health condition remotely. Everyone receiving treatment at home should have 24/7 access to video consultations, he told participants of the event held at the Higher School of Economics. In a country the size of Russia, this is an innovation that could revolutionise healthcare in remote areas. “Because you have such a huge country, I think telehealth is extremely important for your country,” said Bloem. Russian healthcare officials came to the same conclusion several years ago, and work is already underway on developing e-health here, both at a private and governmental level. “The informatisation of healthcare and development of e-healthcare is one of the main priorities of the Russian health system,” Oliya Artemova, a representative of the Health Ministry, told the roundtable participants. “The architecture of e-health systems is of particular interest to Russia, along with the creation of electronic medical records, systems for monitoring the movement of medicines [around the country] and development of telemedicine,” she said, adding that she welcomed the chance to hear about the experience of her Dutch colleagues. Some steps have accordingly already been taken in this direction in Russia. In 2011, the government launched a unified state informatics system for health aimed at improving the sharing of information, Artemova said. 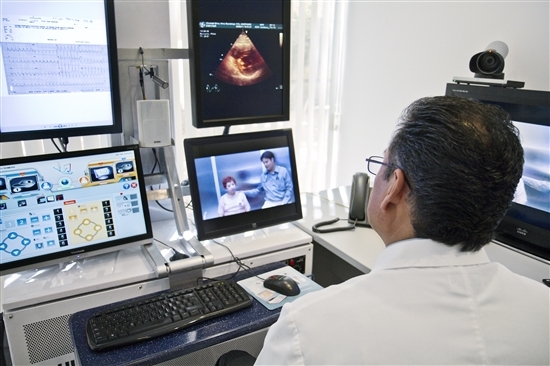 Since last year, the Health Ministry has been working on a telemedicine system to facilitate remote cooperation between specialists from federal health institutes and their counterparts at regional centres. Action is not only being taken at a governmental level. Professor Petr Kuznetsov from the Higher School of Economics presented the Virtual Hospital system for the remote provision of health services and health education. There are a lot of companies working to develop electronic health records, efficient doctor call-out services and similar innovative projects, including at the Skolkovo Foundation, said Kuznetsov. People are already used to using devices like fitness trackers and blood analysis kits at home, and we are approaching the age when Internet of Things technology will be used to send this information straight to our electronic medical records, he said. One of the Russian scientists working to make this future the present is Edvard Krizhanovsky, managing partner of Brain Beat, which is in the process of becoming a resident startup of the Skolkovo Foundation. Representing Telebiomet, a startup founded from the Moscow Technical University of Telecommunication and Informatics, Krizhanovsky presented the company’s telebiometric solutions, including a non-invasive glucose meter that gives results in 15 seconds – with no blood shed – and a multifunctional computer mouse that measures tension in the user. The company is devoted to developing remote screening technologies and noninvasive technologies with the aim of reducing the pain and discomfort currently suffered by patients in various situations. When launched, these devices will enable the patient to send their results directly to a server, Krizhanovsky said. While people are already using e-health devices such as wearable fitness trackers and apps, currently, the data is not being used efficiently, said Paul Epping from the Dutch tech giant Philips. “People have wearables, but the data is not connected,” said Epping, who previously spent 18 months in Russia working in innovations in healthcare. “All the data goes to the cloud and we can’t exchange it. This is a huge problem. Our mission is to get the data together in a meaningful context,” he said, arguing that this is the challenge of the next decade in innovative healthcare. Wearable devices and mobile apps monitoring health and exercise are already highly popular. Photo: Flickr. The information that is available is often unstructured and unprocessed, said Irina Efimenko of the Higher School of Economics, presenting the Semantic Hub project that aims to solve that issue. Semantic Hub carried out a project with Mail.ru to analyse data from its Health.mail.ru service, a website where people can ask doctors online questions about their health in a range of areas, often with accompanying photos and requests for diagnoses. The resource is the no. 1 health site on the Russian-language segment of the internet, with 21 million visitors in March, and the second in the world among non-English-language services, she said. The aim of the project was to process the multitude of questions and answers posted on the website “to understand what’s really going on: what do people want to know, what do their families want to know,” said Efimenko, who is also a co-chair of the IT working group in HealthNet, part of the National Technology Initiative (NTI) established by President Vladimir Putin and aimed at creating new markets and creating the conditions for Russia to become a global tech leader by 2035. “People often ask about prognoses in various situations; there are questions about analogous medicines, for various reasons, such as the cost, or reasons they cannot take it; there are a lot of questions about side effects, about inherited conditions, and so on,” said Efimenko. Many people are asking online because they cannot find a specialist in their area, she said. The information can be used to establish which services are in demand, such as one in which patients can ask for a diagnosis of their condition by sending a photograph to the doctor, she said. Its findings have been used when formulating HealthNet, the part of the NTI devoted to personal medicine, she said. The Semantic Hub project reveals the enormous potential of the digital health market, said Efimenko. With predictions of confidential patient data whizzing around the internet, one issue of concern raised at the roundtable was of security. “The privacy issues are of course important,” said Bloem. “In the Netherlands we have quite a lot of expertise in innovative methods to secure the highest level of security while at the same time being able to monitor patients at home. We are trying to bring care close to the patients’ home, for example by using video conference. We have a system that can do this digitally in a completely secure fashion,” he said. “With modern technology, the privacy issues can be addressed,” he said. While these innovations undoubtedly have the potential to improve patients’ quality of life, people can be reluctant to embrace technology and changes, members of the roundtable audience pointed out. The scientists and health professionals present agreed this can be an obstacle but said it could be overcome with the right approach. “It’s essential to involve patients right from the start,” said Bloem, a practising doctor. “I’ve seen many e-health solutions fail because people had a technical solution and just pushed it in its own right. Our mission is not technology,” he said. If a solution is really helpful to patients, they will start to use it, Bloem said, citing a web app that allows patients to find a specialist in their area. “It’s widely used, even by elderly people, because it’s of real service to them,” he said. “We consistently underestimate what patients can do,” he added. Egorov of Open University Skolkovo, who is also a TEDx senior ambassador to Russia, hailed the discussion as a successful example of different elements in the innovations ecosystem working together to bring about progress. “The most important thing in this event is that we joined all the parts of the ecosystem together: policymakers who define the main strategy and how it will be developed, experts and scientists from both Russia and the Netherlands who talked about the development of their technology, and also people from business, including a company that has applied to be a Skolkovo resident, so it’s a good example of how science can be commercialized and turned into a business,” said Egorov. He added that the Dutch have been one of Skolkovo’s key partners since the foundation’s beginnings. “Five years ago when we started the Skolkovo project, the Netherlands was one of the first countries we went to visit,” he said. The Dutch Ministry of Health, Welfare and Sport is organizing eHealth Week 2016 in June as part of the country’s presidency of the Council of the European Union.